Sebastian Vettel will be hoping to make it three wins in a row to start the 2018 Formula 1 season at this weekend’s Chinese Grand Prix. However, he’ll likely face stiff competition from Mercedes, who have been dominant in Shanghai in recent years – the reigning constructors champions will be going for a fifth straight victory at the track. Lewis Hamilton is the most successful driver at the circuit, having won five times since 2008. Fernando Alonso and the retired Nico Rosberg are the only other drivers to have more than one win in Shanghai. 3 Legs 4 Wheels looks ahead to this weekend’s race. It was a wet start to the race in China last year, but pole sitter Lewis Hamilton remained at the front throughout to secure his first win of the campaign. 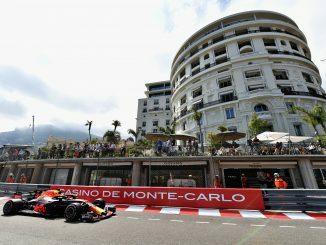 Vettel finished second, while Max Verstappen made a remarkable charge through the field to complete the podium, despite having started 16th. The drying track caused problems for Antonio Giovinazzi, who was standing in for Pascal Wehrlein at Sauber. The Italian spun out of the last corner, having had a similar crash in qualifying, bringing out the safety car. Valtteri Bottas made a mistake during the safety car period, spinning to drop down to 12th after starting 3rd before recovering to finish 6th. Vettel and Bottas had switched to dry tyres earlier than Hamilton, attempting to make the most of an earlier virtual safety car following a clash between Lance Stroll and Sergio Perez. However, the full safety car allowed Hamilton to make the change later while the cars were moving slower, losing less time than his rivals to keep his lead. The race is also remembered for the lack of running on Friday, as the weather conditions meant the medical helicopter wasn’t able to fly. Smog and rain meant P2 was abandoned, while the drivers only had the chance to complete a few laps in the morning session. The race is a week later than last year, having switched positions with Bahrain on the calendar. Otherwise, the configuration of the track is unchanged from 2017, and the same DRS zones will be used. 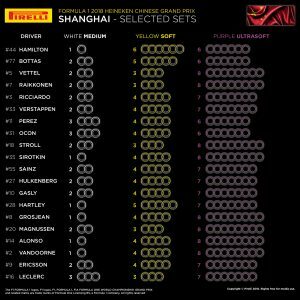 Pirelli have made an unusual choice for tyres this weekend, selecting non-sequential compounds for the Chinese Grand Prix. As well as the mediums and softs, drivers will be able to use the ultrasoft compound this weekend, instead of the supersoft that was available in 2017. Last year, the weather conditions dictated a two-stop race for most of the drivers that finished the race. 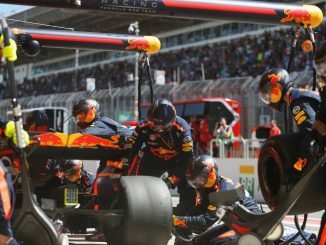 The softs and supersofts were both heavily used, so the inclusion of the ultrasofts instead of the supers could force the teams to look at a change of strategy for Sunday’s race. Pirelli believes the gap between the softs and supersofts isn’t as great as that between the mediums and softs, so using the ultrasofts instead will give the teams three compounds that are more evenly spaced out. 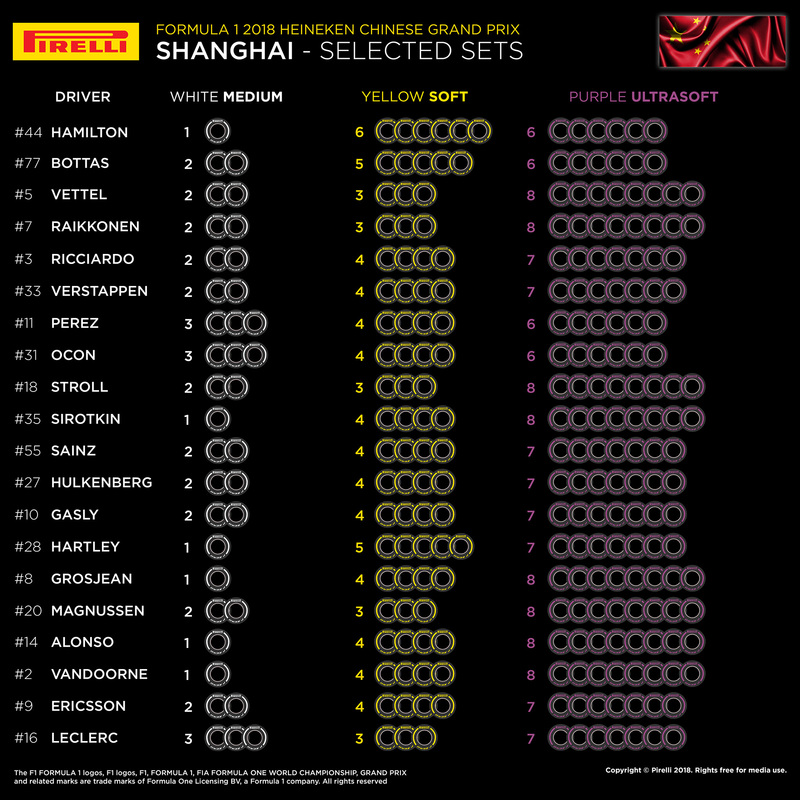 The tyre choices for each driver seem to suggest the teams aren’t sure which tyre is going to be the best during the race. Mercedes are cautious, taking just six sets of the ultrasofts for Hamilton and Bottas, while Ferrari favour the softest option, with eight for Vettel and Raikkonen. Force India are the only team other than Mercedes just to opt for six ultras, but Perez and Estaban Ocon will also have three sets of medium, suggesting the team is worried about tyre wear. Charles Leclerc is the only other driver who will have more than two sets of medium for this race. It looks like it could be another frustrating Friday at the Shanghai International Circuit as heavy rain is forecast throughout the day tomorrow. Visibility is set to be moderate, which should mean the medical helicopter will be able to fly, but whether the drivers will want to spend time in the car in wet conditions remains to be seen. The rain could hang around throughout P3 on Saturday morning, but the conditions are due to improve around lunchtime, which means the track will be dry or drying for qualifying, while Sunday is expected to be dry and bright throughout, with temperatures reaching around 18°C. Having all three practice sessions wet before a dry qualifying hour and race could result in a bit of a headache for those who aren’t sure which of the dry compound tyres they want to use during the race, as they’ll mostly be running on the wets and intermediates in practice if the forecast is correct. Mercedes and Mercedes-powered cars typically do well in China. 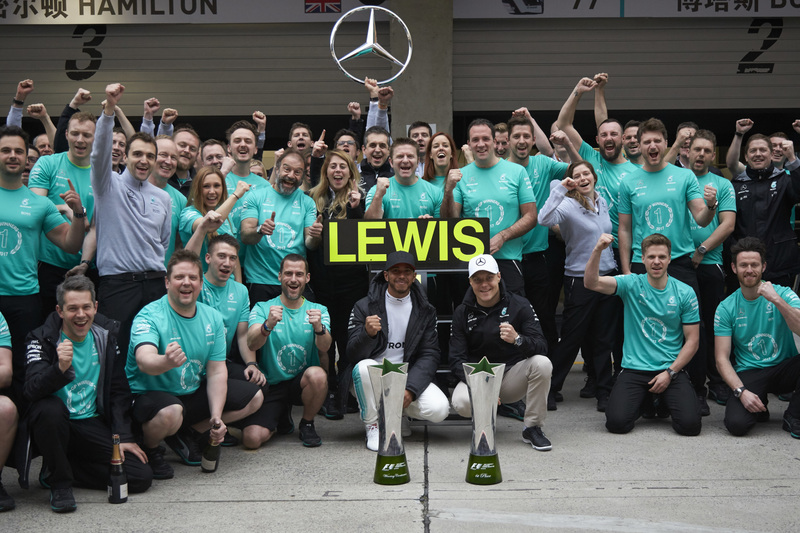 Mercedes have won five of the last six races in Shanghai, while McLaren’s most recent wins at the track mean Mercedes engines have won the race eight times in the last 10 years. 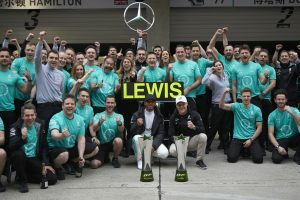 This should mean Mercedes will be optimistic of ending their winless start to the season, while Force India and Williams will hope this means they can move up the field after disappointing displays in Australia and Bahrain. A lack of dry running in practice could see the less experienced drivers struggle, like Giovinazzi last year. The Sauber reserve driver crashed on his first lap using a dry compound and was caught out by a damp patch under the bridge on the pit straight in qualifying. Qualifying on pole position is a big advantage in China. 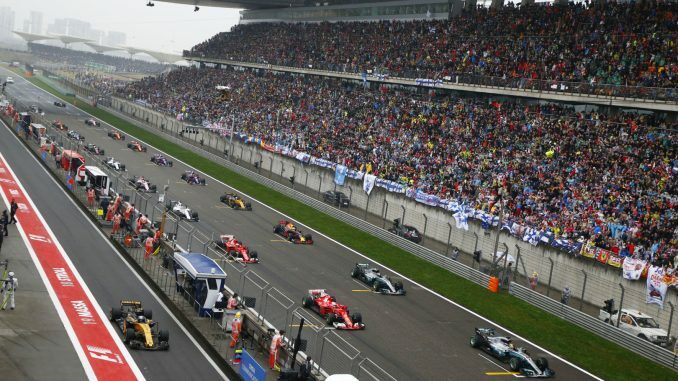 In the 14 previous races at the Shangai Internaitonal Circuit, the winner on Sunday has been the fastest driver on Saturday nine times, while the winner has never started lower than sixth. 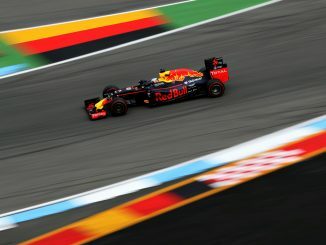 It is a track where drivers can work their way up through the field, like Verstappen did last year, and Mark Webber when he secured a podium after starting 18th in 2010. There’s a high likelihood of the safety car being used this weekend. It’s been deployed for the last three years, but never more than twice during a single Chinese Grand Prix. The race also typically sees a high number of finishers, with no retirements at all in 2016. 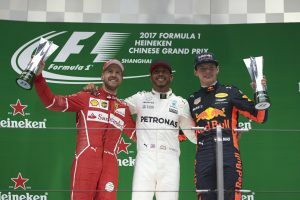 You can hear our thoughts ahead of this race on our Chinese Grand Prix preview podcast, as well as reading the team’s podium predictions. Keep up to date throughout the weekend with us on Twitter and Facebook, and join us for our live blogs during qualifying and on race day.